About | Aya Animations Inc.
AYA Animations is a production company delivering edutainment content for young children. We aim to instill strong moral values in young audiences through the inspiring narratives and actions of the characters they grow to love and admire. We wish to motivate our young viewers to emulate the simple yet heroic gestures of kindness and wisdom they witness in the episodes and interweave them into their own ubiquitous lives. The ideal goal is to create a ripple effect of children racing to be leaders in moral behaviour, making conscious and pro-active decisions to positively impact their own lives, as well as those of their peers and environments. The first series produced is the 3D animation series “Aya & Yusuf”, derived from local culture and religious values shared by local religions and based in the Quran teachings. Where children learn values while having fun. Create value based content for children in engaging fun experiences. Sara Sawaf is a mom of 2 young children. In 2015, she set up “AYA Animations” and created its first series “Aya & Yusuf” after searching and noting the lack of endearing and fun content for her children to watch that might represent her noble Islamic heritage in an accessible and modern context. Sara ventured into this project aware of the importance of giving her children on-screen role models in the form of affectionate and savvy cartoon characters from whom they can learn important tools to help them confidently and respectfully navigate the world and its plethora of colourful cultures, whilst comfortably upholding their own faith and customs. Her goal is to pass down the wisdom and insights of the verses in the Holy Qur’an in an age-appropriate manner while presenting the material in a fun and engaging format that they enjoy: Cartoons. Sara’s interest in Qur’an began at a young age when she attended Qur’an explanation classes of Muslim visionary peacemaker Randa Hamwi Duwaji whose methodology attempts to gain understanding of Qur’anic words as close to their original definitions as possible using earliest 10th century lexicons. Sara, who continued to follow Randa’s research, realized the need for these original concepts to become part of children’s early learning so that they are enriched with the values of the Qur’anic message and raised with its Messenger as their model. Sara directed and produced the pilot episode “Sara & Fares” and is currently the Executive Producer of the series “Aya & Yusuf” in the works. Rama’s career spans 28 years of education, technical, communications and management expertise; combined with her passion for social impact, she spent the last 15 years building startups to benefit youth. Today, she runs VIP.fund, a venture philanthropy fund investing in youth programs and technology startups. She brings to AYA Animations a passion for education, experience with marketing to youth and institutions that support them, technical knowledge of digital content and operational experience. Prior to the VIP.fund Rama ran Baraka Ventures, investing in a portfolio of social impact and tech startups. Among the portfolio were Tawasul, a youth education/adventure company, BarakaBits, the first Middle East social publisher and news media focused on a positive narrative from the Middle East and Baraka Advisors, a communications agency managing PR for causes in the Middle East. In 2000 Rama co-founded a startup that received $60 Million in funding to buildout data-centers. Prior to that Rama served as a director of product development at Cable and Wireless serving fortune 100 clients. 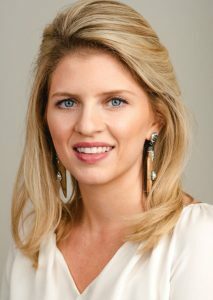 She holds a bachelor’s degree in Computer Engineering and a Master’s in Engineering Management from George Washington University with continued education programs at Stanford. Rama served on the board of TechWadi, PCRF, PACES, The Impact HUB – UAE. 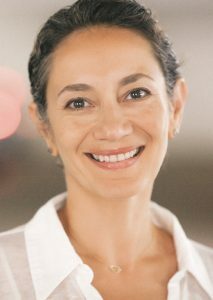 She’s a founding member of Arab Women in Computing and the first regional Women Angel investment Network – WAIN and currently serves on the board of the Syrian International Business Association. Rama was featured in Forbes Middle East and Arab Women Rising, a Wharton School of Business Publication. 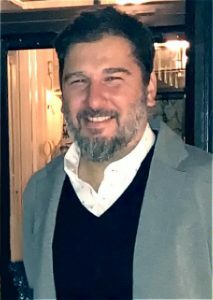 Alfonso is the Co-Director and Advisor of “Aya & Yusuf”. He has been working in animation for over 17 years, and has been Director and Animation Supervisor of POCOYO for over 10 years. Pocoyo is an award-winning Spanish pre-school comedy animation; broadcasted on major children’s networks in Spain, UK, Ireland, Canada, Australia and New Zealand. Dubbed by famous English actor Stephen Fry. Alex is Head of Production & Development for the “Aya & Yusuf” series. 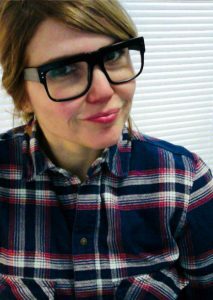 She is a Creative and Art Director for Film and TV. She is the owner of D.Bond, a VFX/Animation studio whose credits include TV series DA VINCI’S DEMONS and HOUSE OF CARDS, as well as feature films ENDER’S GAME and PIXELS. She works closely with Alfonso Rodriguez, director of acclaimed Spanish kids series POCOYO. Nizar is the Lead Writer of the “Aya & Yusuf” series. He was raised in East Tennessee, earned a Masters in screenwriting from USC in 2006, and collaborates with Golden Globe winner / two-time Oscar nominated director Hany Abu-Assad. Walt Disney Pictures recruited Nizar to write the first Arabic-language film ever produced by a major studio (The United, Touchstone 2012). He created a story for iOS game Tribal Rivals, which debuted at #1 in the App Store in 2014. His TV crime drama Blood is in development with Element 8 Entertainment, and he is developing a TV series based on the best-selling Joe Dillard books. 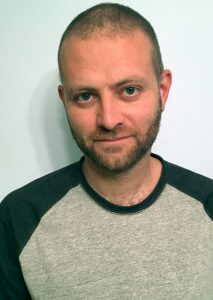 Wattad’s work was chosen for the 2008 Sundance RAWI Lab, 2010 Dubai Film Connection, and 2016 Sundance Producer’s Summit. He also teaches for Elon University, produced the first compilation of Arab-American hip-hop, and has hosted live performances, lectures & workshops around the world. 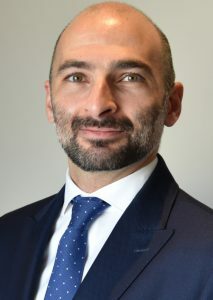 Karim is a Partner at Khoshaim & Associates law firm, in cooperation with Allen & Overy. He specializes in Banking and Finance and has extensive experience acting for lenders and borrowers on finance transactions. He qualified and practiced in London for a number of years, now based in Riyadh. Previous Law firms include Clifford Chance and Skadden. 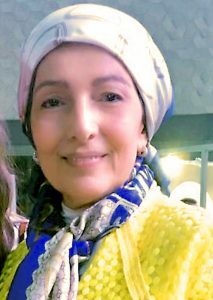 Randa is a bilingual author, Quran researcher, and peace-builder whose published and publicized works include children’s books in English and Arabic, poetry anthologies, articles, radio talks, and a haiku on a commemorative plaque in N.Y.State. Her most important work includes an opus on comparative interpretation of Qur’an which sheds light on the original intent of important words as understood using a renowned 10th century Arabic lexicon. Today, Randa is finalizing a trailblazing book -also to be published in both English and Arabic- which recovers and presents a major Qur’anic dynamic which could be activated by anyone seeking awareness and working for peace. Randa’s work offers readers the unique privilege of observing Islam in its earliest light, reclaiming its identity, and drawing a clear path to the fulfillment of potential and conciliation with humanity at large. Seeing all of Humanity on a single plane, Randa has been conveying the richness of her heritage to the societies she interacts with, building bridges between cultures through her poetry compilations, children’s books, Islamic articles and decades-long Qur’anic research, penning her thoughts and findings in both English and Arabic. Growing up as a Syrian diplomat’s daughter who was constantly asked about her background, Randa’s interest in her culture and her quest to understand and convey the peaceful message of the Qur’an has accompanied her throughout her life. Randa brings this peace and richness to Aya Animations, as well as the vision of humankind joined by common values and united in the desire for a better future for our children.